Vine cottage is one of the oldest cottages in Newlyn. When the present owners applied for a mortgage the surveyor discovered that the cob had been cement rendered. 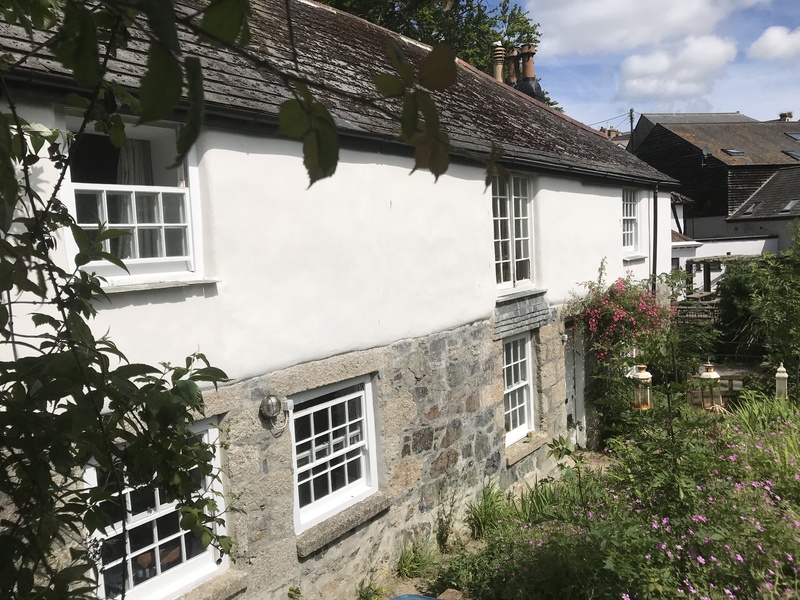 As a condition of the mortgage he specified that the cement was removed and replaced with lime mortar. 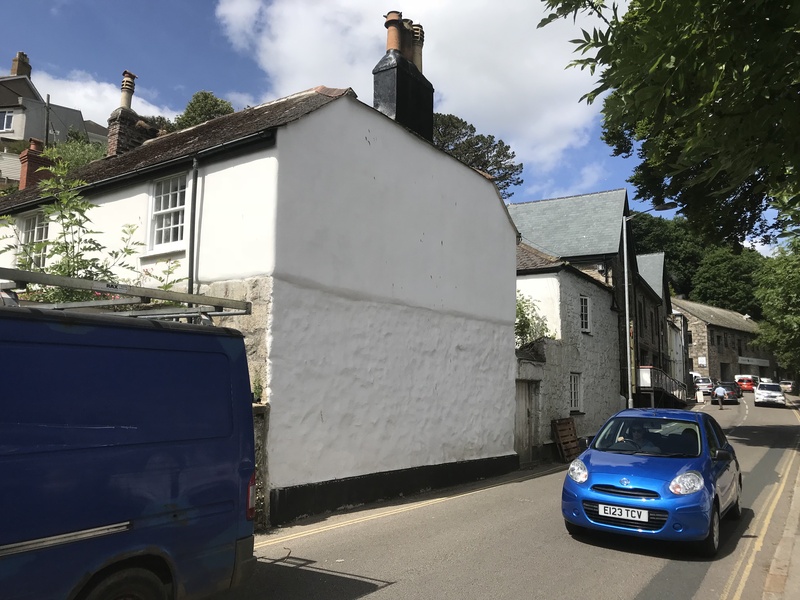 At this point the previous owner contacted us and asked us to quote on the removal of the cement render and replacement in lime. 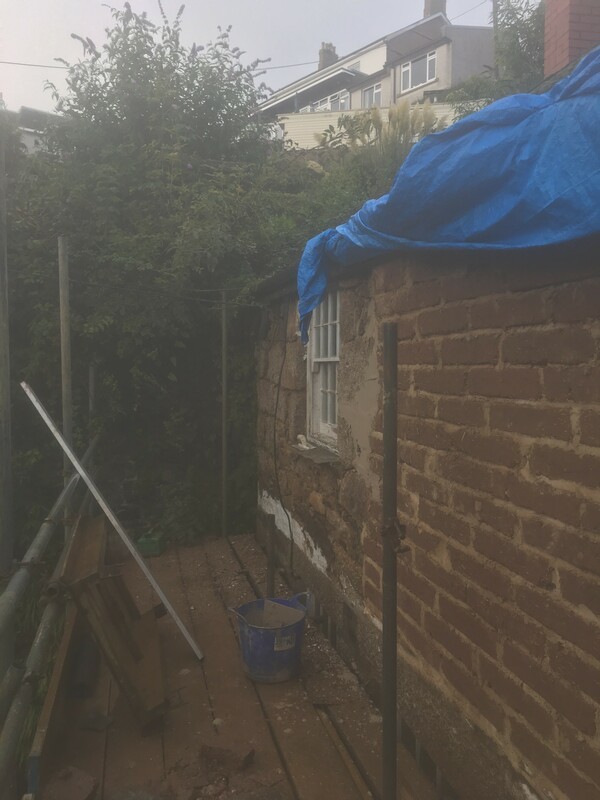 Once the scaffold was erected and we started to remove the render we discovered not cob as was expected but instead cement block . Upon greater inspection we soon realised that the builders at a much earlier date had shaved off the exterior of the cob and replaced it with a layer of block. Unfortunately the surveyor required that these needed to be also removed and replaced with cob . This was obviously a larger job than originally planned. 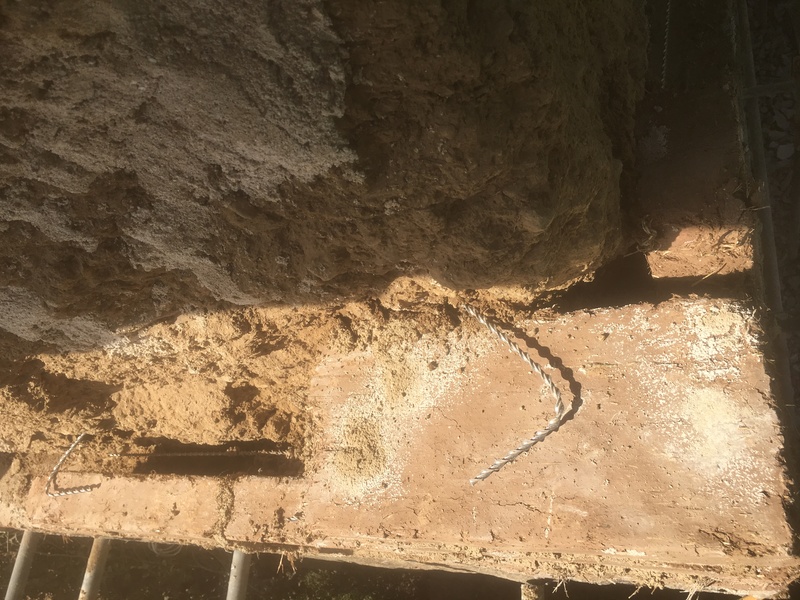 After consultation with Barry Honeyset and excellent structural engineer and surveyor specialising in cob we discovered that the cob was structurally sound enough to support the roof structure. Vine cottage with new cob block-work. 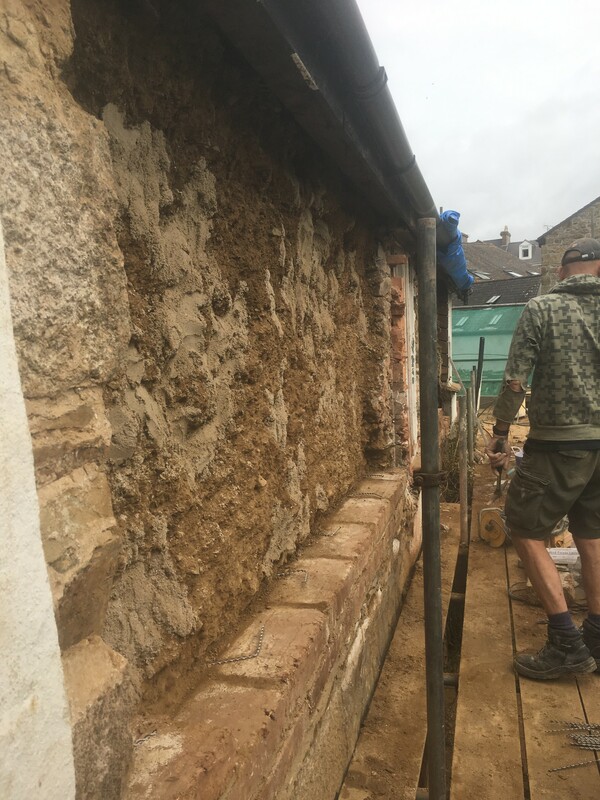 We then removed all the cement blocks replaced them with cob blocks securing them into place with helifixings finally lime rendering the wall. Six weeks later we came back and lime painted the areas in beecks beeckacil 101 lime paint. The surveyor was delighted ,the mortgage went ahead and the present owners moved into vine cottage. Previous postLime Pointing Next postGabel end and chimney rebuild.